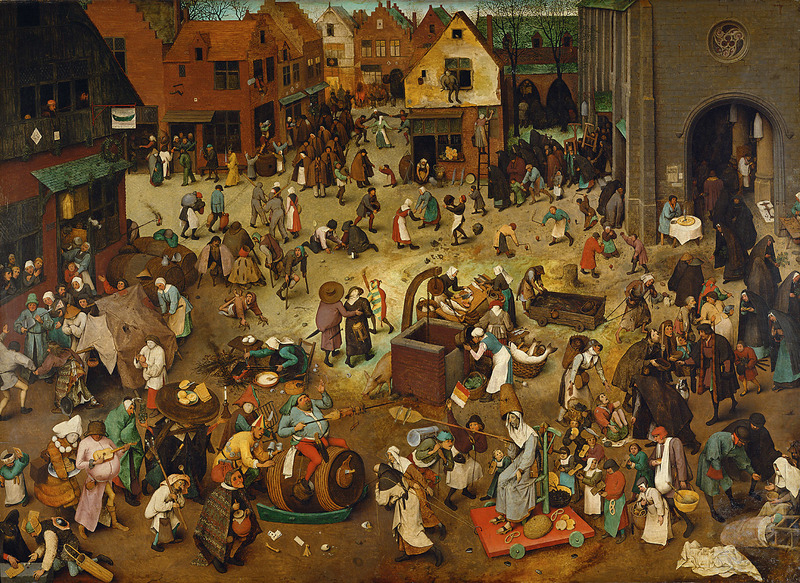 Pieterbruegel.net builds off of its predecessor, janbrueghel.net, in style and function. Scholars can access all of the, drawings, prints, and paintings that Pieter produced. Individual pages within the site document each object’s physical data, provenance, and bibliography. Visitors can browse the site by location and genre, while discovering related works through an extensive array of keywords and series groupings. Specialized scholars may contribute comments and their own ideas on each object’s discussion page. Using our ‘My Research’ tool, registered users can form a ‘Library’ of bibliography that they are using, and of works for personal study. Works from both Jan and Pieter may be stored, viewed, and compared in the same research library. Our innovative Image Investigation Tool (IIT) allows detailed visual analysis of the works. Designed especially to address the complex nature of the Brueg(h)el family’s art, the IIT enables users to make a transparency of one picture, resize it, and overlay it onto a second work. You can also move over the details of two images simultaneously. This tool will help in advancing the study of visual correlation and pattern use in the early modern workshop environment. We are excited to provide this platform for researchers around the globe to delve deeper into the works of the Brueg(h)els. Researchers from the UC Berkeley-based team have begun data collection and design for a home site that will connect the two Brueghel sites, brueghelfamily.net. It will feature an interactive timeline, biographies of related artists and patrons, and a scale gallery. Visitors are welcome to browse the site without registered user status. However, scholars and curators are encouraged to contact our team at brueghelfamily@berkeley.edu to request access to our research resources including the library feature and the IIT. Our registered users may also contribute signed posts on our discussion pages. Generous funding has come from CITRIS, UCHRI, the NSF, IMAF, and UC Berkeley’s URAP and Digital Humanities programs and Townsend Center. Thanks also to the RKD (The Hague), the Rubenianum (Antwerp), Johnny van Haeften and John Davies (London) and the app ArtAuthority.